West, the far South and Southwest. It is a neophyte which has been known in the wild since the 1780s. It may be native in the Southwest. 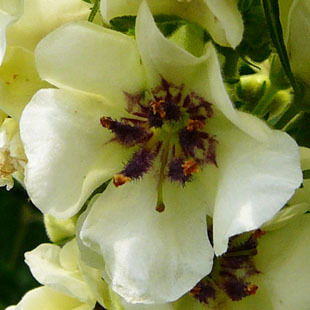 It grows on banks, sea-cliffs, rough grassland and waste ground. 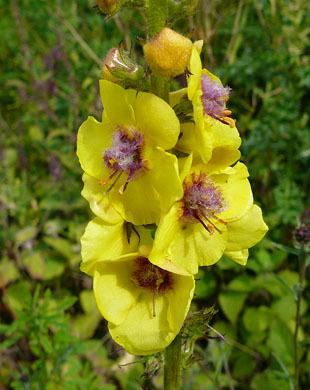 Twiggy Mullein is a striking, tall, biennial herb growing up to 1m. 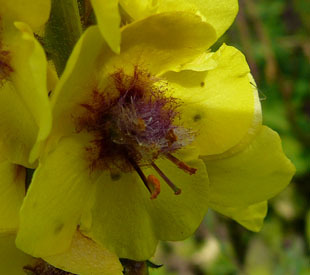 The lower two are much longer with large yellow anthers. 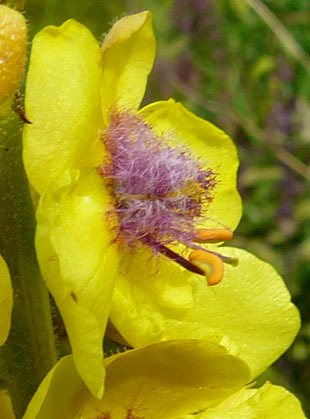 The smaller stamens have numerous purple hairs. The style is long and mainly green. 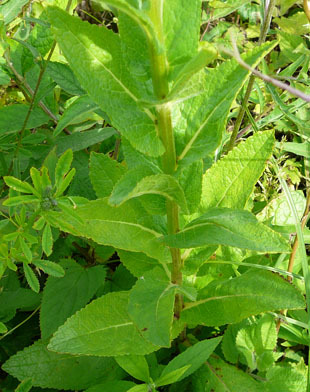 Leaves are green, with small rounded teeth.